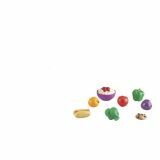 Stock up on healthy veggies! 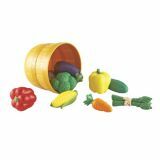 Invite early dramatic play with nutritious produce! 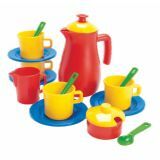 Made from soft, non-toxic plastic. Large enough for little hands. 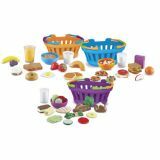 All the yummy food you need for your dramatic play centers and early nutrition lessons. 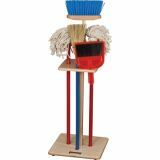 Includes 100 durable pieces packaged in a handy tote. 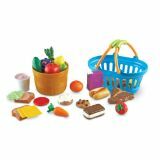 Invite early imaginative play, build vocabulary, and reinforce healthy eating. 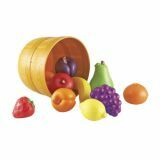 Freshly picked play food is made of soft, durable plastic, and sized especially for little hands. Tote measures 14 1/4”L x 9 5/8”H x 12 1/8”H. Storage tote colors may vary. It's dinner time! 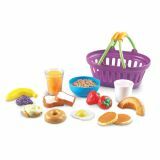 Mouth-watering, healthy dinner foods are made of soft, durable plastic and sport a contemporary look! 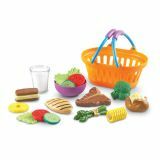 Includes a glass of milk, steak, grilled chicken breast, asparagus bundle, baked potato, broccoli, corn, empty bowl, 3 lettuce leaves, 2 tomato slices, 2 cucumber slices, pineapple ring and ice cream sandwich.